Q.1) What is Google Scholar? 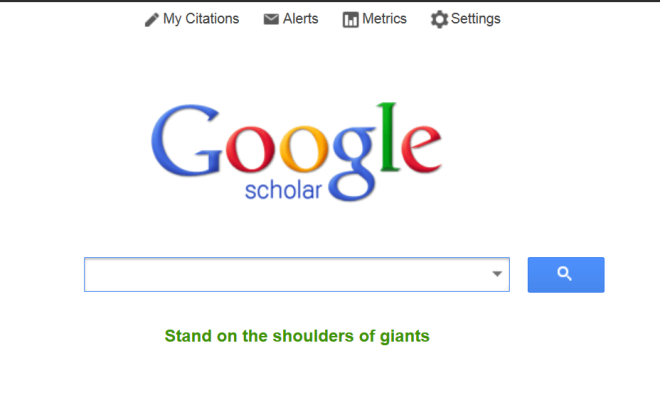 Q.2) Why should i use Google Scholar? Unlike most other databases (Sciencedirect, Elsevier) which confine themselves to a selected journals, Scholar searches across all the databases and journals. If a article was published it should be on Google Scholar. Q.4) Can i download paid articles from Google Scholar? As earlier said Google is just a search engine. Your ability to download article depends on the subscription you / your college has. Most Universities have integrated Google Scholar and you can directly search and download articles directly from the college website. Q.5) What about the free articles? Free/ opensource articles / articles without copyright restrictions can be directly downloaded through Google Scholar. Q.6) How will this really benefit me? Searching for articles is a breeze. (Trust me i have used ScienceDirect , Pubmed, Springer and what not). It is the fastest method. Q.7) Does Google Scholar work with EndNote? Google Scholar works seamlessly with almost all the citation managers including Zotero , Mendeley, EndNote, Refman etc etc etc. And you can directly import citations into these reference managers/ citation managers. 1. What is Zotero and how should i use it? 2. Using Zotero and Google Scholar together. 3. How to gather resources for a research article using Zotero? 4. How to format references for my thesis/ article?